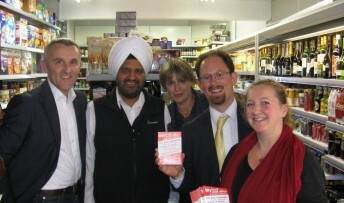 Cambridge residents are supporting MP Julian Huppert and councillors as they push the government to renew a major contract which is vital for post offices across the city. Dozens of people in Cambridge have joined a national postcard campaign calling on Julian and MPs nationally to urge the government to continue allowing people to obtain driving licences and vehicle tax discs through their post offices. The campaign was launched by the National Association of Subpostmasters as the government decides whether it should renew the contract with the Driver and Vehicle Licensing Agency. 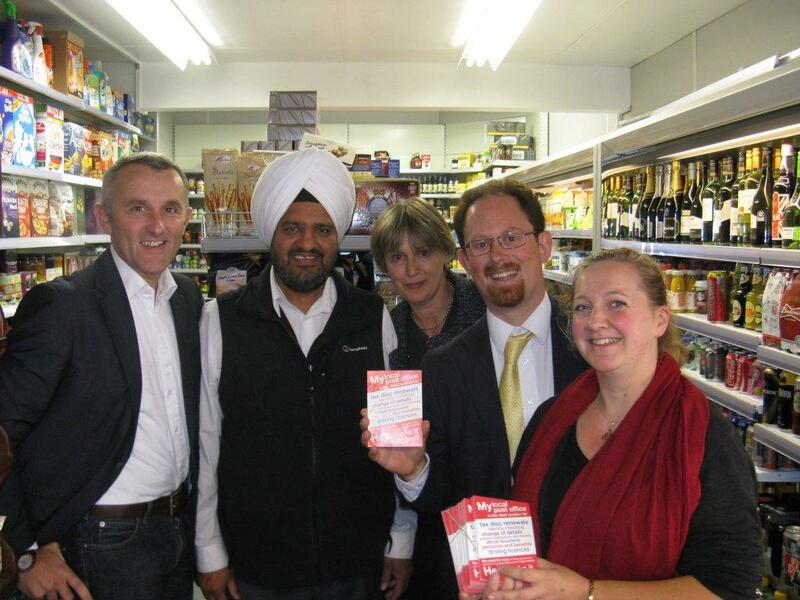 Julian joined city councillors at Cambridge’s Derby Stores and post office in Derby Street, Newnham to find out how important these services were to the business. He said: “This contract is coming up for renewal soon and if it is taken away from local post offices, it will deny them of a vital source of income. This could leave some post offices struggling to survive. “Our post offices are an essential part of our communities. People rely on them for a whole range of services. Some people don’t have access to the internet or don’t want to buy their car tax and other DVLA services on line; they should be able to have that choice. Jagtar Singh from Derby Stores said: “There is nowhere else on this side of town where people can buy their car tax. This is an important community service. “We are competing with the Co-op across the road and we need to offer other services if we are to attract people to the store. 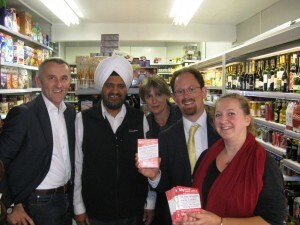 Julian visits Jagtar Singh at Derby Stores along with (from left) Newnham councillors Rod Cantrill, Sian Reid and Lucy Nethsingha.